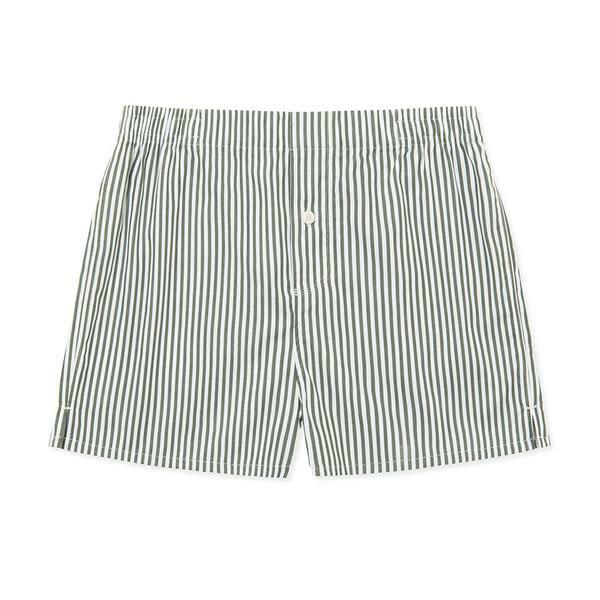 Our olive stripe cotton boxer short features​ the same signature slimline tailored cut with a few design tweaks. We still us​e​ the finest 100% two-ply twill cotton for incredible comfort while extending our elasticated waistband for a ​improved fit throughout the day. Hamilton and Hare in Romford, United Kingdom.